On the latest TribCast — recorded live at the Texas Tribune Festival — Emily talks to Ross and special guests about the Kavanaugh hearings and the U.S. Senate race that's shaking up Texas. 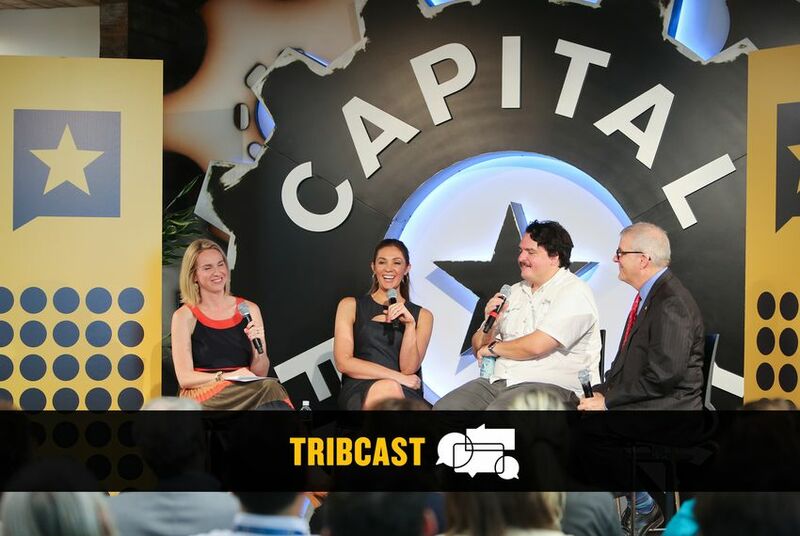 On the latest TribCast — recorded live from Capital Factory at the Texas Tribune Festival — Emily talks to Tribune Executive Editor Ross Ramsey and special guests about the Kavanaugh confirmation hearings and the U.S. Senate race that's shaking up Texas. Up first: Conservative Texas Supreme Court Justice Eva Guzman and Democratic congressional candidate Gina Ortiz Jones weigh in on what the dramatic Kavanaugh hearings have meant for Texas women, debate whether Democrats can count on Latino voters in Texas and consider the fate of families separated on the Texas-Mexico border. In the second segment, Washington Post national political correspondent Dave Weigel and author and CNN contributor Amanda Carpenter unpack the Senate Judiciary Committee's Kavanaugh "circus" and place their bets on the U.S. Senate race between Ted Cruz and Beto O'Rourke. Stay tuned for the lively Q&A.